KARACHI: Pop rock band Strings announced that they are excited to be releasing eight singles this year to celebrate 30 years of their band and spoke about their journey, rise, Coke Studio and comeback. “At this point in time, we feel like when we first started off,” an excited Faisal Kapadia said during an appearance on a popular morning show. “We are so excited for our new music,” he added with a smile. “We want to go to Islamabad too as we performed in Karachi and Lahore recently,” Kapadia said regarding their return to the stage after a hiatus of four years. The two college friends, Faisal and Bilal Maqsood, shared that they will release eight songs this year, the first of which is already out. Sajni, written by the legendary Anwar Maqsood and directed by Yasir Jaswal, was released on March 17 and has fans eagerly waiting for the second one. “The next song, Uth Jao, will release on April 6,” Kapadia added. Bilal shared that his father, Anwar Maqsood, has written most of their new songs and the eighth and final song will be released in their album ‘30’. Shifting focus to Coke Studio which the band produced for four seasons and quit in October last year, the duo recalled that the platform had a lot of high points. “There were a lot of high points, especially in Season 7 when we brought together legends Rahat Fateh Ali Khan and Abida Parveen for Chaap Tilak,” the band said. “To bring the two on one platform was impossible,” Bilal added. Kapadia added that normally they have two to three retakes for a song but for Chaap Tilak they only recorded it once and there were no rehearsals. “When two greats sat down you just couldn’t ask them to do it again,” he said. The duo also said that Amjad Sabri and Rahat’s ‘Rung’ was another such moment. “We were crying after that song,” Kapadia said. The college friends recalled that they’ve been friends for 30 years now. “We met at Government Commerce College and the day we met, our band came into existence,” they said. Strings released their first song in 1988 and reached their peak in 1992 with their famous Sar Kiye Yeh Pahar. However, the band went on a break till 1999. “We had to complete schooling,” Kapadia said. But things have changed and been upwards for the band since. In 2004, they were approached by Columbia TriStar Films of India to include their next single Najane Kyun on the soundtrack of the Hindi version of the Hollywood blockbuster Spider-Man 2. “We couldn’t believe it and thought it was some sort of a prank so didn’t tell anyone about it, including our families,” the duo said. 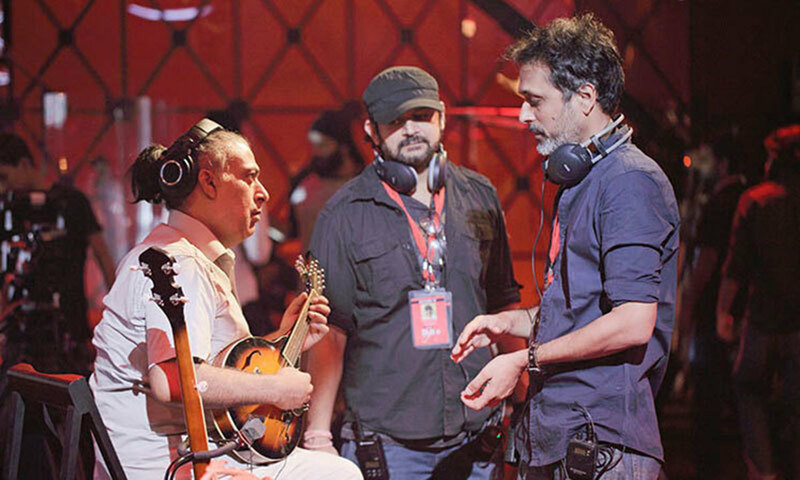 “That was a good bridge for Coke Studio as we got a call from the platform soon after and we never approached them ourselves,” Kapadia said. “God has been really kind in these 30 years,” the band said.